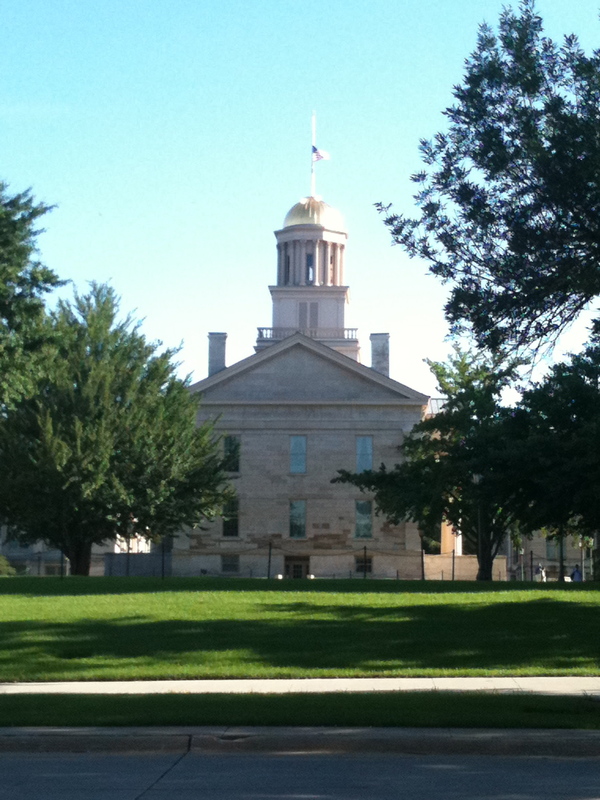 The University of Iowa sits on a gorgeous campus. I am so fortunate to be able to see big, full trees every day. My office is in a building that is just south of the Pentacrest, a green area surrounded by five buildings. Along the brick to the right of the view above is this simple graffiti. 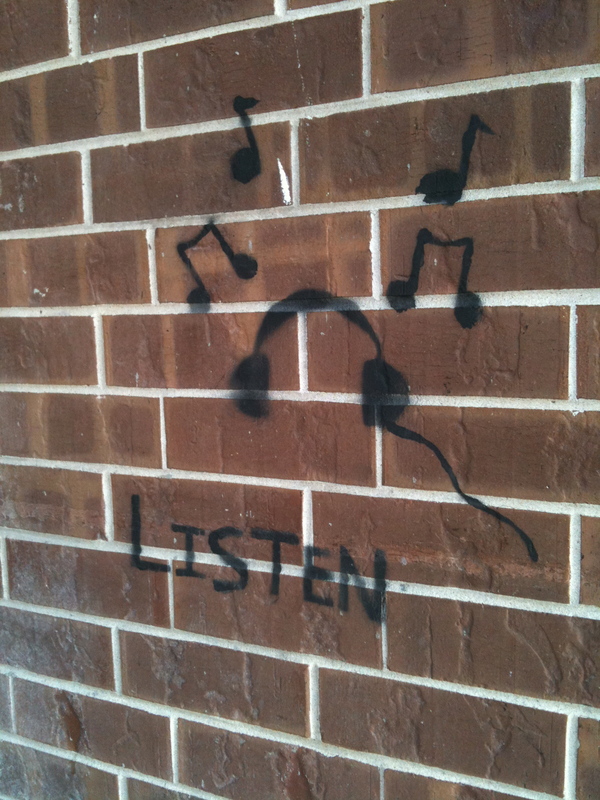 Yes, it’s graffiti, but I like it.